Lieutenant Harold Forrester Duncan of the Royal Flying Corps, who was 22, died on March 24 1917 during a spell of intense fighting on the Western Front. At around 0630 that morning, six two-seater Sopwith Strutter aircraft from 70 Squadron left on a reconnaissance mission over the Douai-Cambrai area near the Belgian border. Around 0800 they ran into twelve aircraft from the German Jasta 5 squadron. The Strutters attempted to force their way back over the lines, some 18km away. In the ensuing 15-minute battle, the Germans came off the better, claiming two aircraft to one shot down. Lieutenant C.R.Peter and Lieutenant Bernard Balfour in A2893 and Lieutenant H.Butler and Air Mechanic A.G.MacMillan in A1925 shot down Leutnant Renatus Theiller. Both aircraft were damaged and Peter and MacMillan were both injured, but they got back to the lines. Captain William Howard Costello and Lieutenant H.S.Whiteside in A1907 were last seen flying west after combat at Douai before they were shot down by Leutnant Heinrich Gontermann. Both were taken prisoner. Pilot Captain Arthur Gerald Saxty and observer Lieutenant Duncan in A956 were shot at. 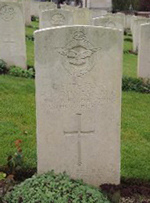 Saxty was uninjured and flew the aircraft back to base, but the burgh man was wounded twice and later died. Three days later his father, Major John F. Duncan, J.P., V.D., of Polkemmet, 6 Upper Colquhoun Street, was told that he had been wounded, and a further two days later that he had died from his injuries. 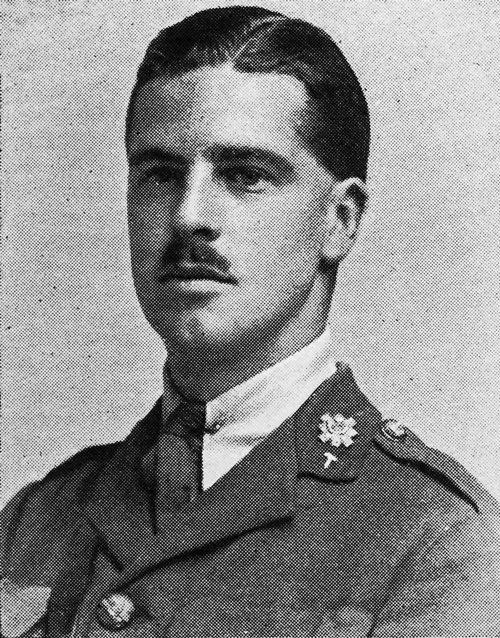 Shortly before, he had been awarded the Military Cross for gallantry. The London Gazette of April 26 1917 and the Edinburgh Gazette two days later gave the following citation: “For conspicuous gallantry and devotion to duty during an aerial combat. Born in Helensburgh in 1894, Harold was educated at Miss Johnston’s school, then Larchfield, and then Sedbergh in Yorkshire. After leaving school he worked for Messrs Bannatyne & Guthrie, C.A., in Glasgow, and he later became involved in business with his father. When the war broke out he obtained a commission as a Lieutenant in the Highland Light Infantry and served with his regiment in France where he was promoted to Captain for bravery in the field. In November 1916 he was transferred to the Royal Flying Corps in the rank of Lieutenant. Reporting his death, the Helensburgh and Gareloch Times stated: “He was well known and deservedly popular in the town, where such a sad termination to a promising career has caused much regret, which has been accentuated in the fact of his recent engagement to Miss Young of Dunalwayn, 2 West Abercromby Street. His father, who had a long connection with the Dumbartonshire Rifles and Territorial Force, was training one of the battalions of the Glasgow Volunteer Regiment at the time. The following year he was elected Provost of Helensburgh, and he served in that role until 1927. Harold’s brother, Lieutenant Alan M.Duncan, was also on active service in France with the H.L.I. The Rev C.B.Beard, M.A., minister of St Michael and All Angels Scottish Episcopal Church, said during his sermon a few days later: “Ours is a fresh grief keenly felt by many hearts amongst us in the death on active service of Harold Forrester Duncan. “His spiritual home was in this congregation of Christ’s flock. “Here in this House of God he was baptised, confirmed, and made his first Communion. “So we thought of him specially as one of our very own boys, and we loved him for his quiet, simple manliness, as he reasonably ordered his life, ready for its duties and also ready to enter with zest into its happy enjoyments. “That is just what is natural, and he was entirely bright in his pastimes and companionships and social relationships, but there were manifest in his character many gifts of the Spirit in bright, happy wisdom, in understanding and strength and unaffected godliness, and these had a very definite influence upon those who knew him. “The story of his conduct in the conflict when he received his mortal wounds is a story of like gallantry with that of all our boys who have fallen in battle. “On his last Sunday when he was home on leave, at the early hour he knelt at our altar rail to receive the heavenly bread of God’s board, quietly to renew his ‘sacramentum’, his soldier’s oath, to Christ. 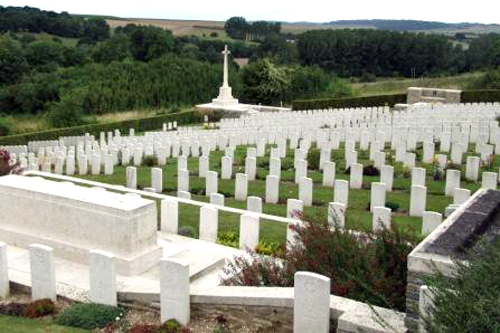 Harold was buried in the Commonwealth War Graves Communal Cemetery Extension at Gezaincourt, a village in the Somme. In 1922 Provost Duncan officially unveiled the Helensburgh Cenotaph in Hermitage Park, which bore the name of his son. He said that it was a poignant yet striking reminder of the dreadful carnage of the First World War, while yet forming an appropriate means by which the community could pay its respects to the fallen.